So, why, since I am right-handed, did I choose to name my book: WHAT MY LEFT HAND WAS DOING: Lessons from a Grassroots Activist? You can attribute it to the anthropologist in me. Or you can attribute it to a brainstorming session with my editors in a search for a unique book title. In either case, you would be correct. And it fits, you see, because during that period I was a foot soldier using my left hand to advance social justice and my right hand to love and sustain my family. Throughout our known history, cultures have ascribed meaning to the symbolism of right and left handedness. These distinctions about right and left appear in science, nature, the writing of our various languages, and in our politics. Chris McManus has written a fascinating book titled: Right Hand, Left Hand: The Origins of Asymmetry in Brains, Bodies, Atoms and Cultures (Harv ard University Press, 2002) and suggests “that our asymmetric bodies, which emerged from 550 million years of asymmetric vertebrate evolution, may be linked to the asymmetric structure of matter.” The book is a bit of a heavy read but engaging throughout for all you science junkies. We know that the majority of people are right handed but evolutionary studies cannot yet tell us why. We do know from the study of medicine that the left side of our bodies is controlled by the right side of our brains. This brings me back to my son’s favorite shirt; his right brain controls his left handed function. Right and left hand are deeply embedded in nature as well as our cultural and sociopolitical structures. We know from the study of physics that tornadoes spin counter-clockwise in the northern hemisphere and clockwise in the southern hemisphere. We know that European writing goes from left to right, while Arabic and Hebrew go from right to left. The meaning of right and left was formalized in western politics as early as 1789. In France, radicals pressing for change were seated on the left hand side of the legislative chamber where they could be ignored, and conservative nobles were seated to the favored right of the presiding officer. This historical practice contributed to the evolution of the terms we use today to identify the political progressive left and the conservative right in western politics. Please click “follow” at the top right of this document and keep up-to-date on my publication time-line. You won’t want to miss this. This entry was posted in Uncategorized and tagged #againstthetimesbooks, #anthropology, #bloggingchallenge, #bookmarketing, #Booksgosocial, #feedly, #motownwriters, #motownwritersnetwork, #resist, #sylviahubbard, #writers, againstthetidebooks, Cinema Detroit, Esssence of Motown, march2justice, Michigan Coalition for Human Rights, TEN21PRESS, writing on October 13, 2017 by joanncastle. I felt my manuscript was finished. I had been searching for an editor for m onths. Suddenly and unexpectedly things fell my way. A friend in New York contacted me. “It’s possible, but not certain,” she said, “that I can connect you with an esteemed editor. Cross your fingers.” A week later, she called back. “I think we’re good!” My stress factor went from zero to ten in a nanosecond. I needed to have everything in order. The editor was coming to Detroit on business and we arranged to meet. I frantically prepared. I had a full manuscript, a cover and a title: Between Two Worlds: A Mother’s Battle Against Injustice. All I was looking for was a professional finishing touch but I wanted it to be perfect and I was willing to work for it. I felt that I had drafted the perfect query letter, through-line and book description, and I had worked on my chapter summaries for months. We sat at a Detroit restaurant. I was nervous as she looked me over. My right leg was going numb. “I brought,..” I began, pulling out my folder of perfect documents. “I don’t want to see those today,” she responded. “I want to talk about you.” Well, the “talking about me” was extensive. We chattered at dinner and followed up by phone. She would be sending me a personality test and wanted to know about my writing habits. I literally was applying for the privilege of working with her. Once my tests were analyzed, we discussed the results. “Joann,” she said, “I will agree to work with you on two conditions: that your story be brought up-to-date pertinent to the times we live in, and drop the Catholic guilt thread about being too busy for your children that runs through the pages.” This was just the beginning. One day, she asked me to read my manuscript again and tell her what I thought. I perceived it in a totally new light. “It’s like a sailboat, skimming across the water.” “Exactly,” she said. Now, let’s fix it.” Since that moment, I have spent almost two years revising, deepening, and using closed eye voice-recordings to assist in documenting events that I found difficult to write about. Then I transcribed and boldly placed these in my story. Throughout this period, my editor requested essays about pertinent topics to better convey the depth of my personal journey. I’ve worked intensely, writing and rewriting. In the process, I have grown as a writer and as a person. My story was almost ready last fall, totally reworked and redirected and then, Donald Trump was elected. I was flailing around in disbelief and dismay that my work had become outdated, that I had missed my opportunity. I was too late. My editor responded: “This is a gift to your writing. Teach people how to resist, and so I revised again working over these additional ten months and through the horrific loss of my husband. I persisted; I revised and revised again. When it was all said and done, I chose a new title consistent with my reworked manuscript. This entry was posted in Uncategorized and tagged #Booksgosocial, #motownwriters, #sylviahubbard, Against the Tide Books, Blogging Challenge, Cinema Detroit, Esssence of Motown, joanncastlemylefthand.com, Mothers Against Injustice, TEN21PRESS, Women's March Detroit, writing on October 6, 2017 by joanncastle. I am desperately working to finish my book which is a tribute to Mike, our love for each other and for those who give their hearts to the struggle for social justice. My story takes place in Detroit during the tumultuous years of the 60s and 70s, but it is more–in that I seek parallels in our current period and offer lessons learned on how to avoid mistakes we made in the past. Mike was a big supporter of my decision to use the written word as a medium for reflecting on our history. He was also my first-line proofreader, which led to many hours of mutual reflection on the period and what it means today. Our long discussions revealed many facets of the intense aspects of being in a movement. I learned, and he learned many details of our experiences during this period that in our busy lives, we had never discussed before. Includes an Activist’s Survival Guide. COMING IN FALL 2017: “Follow” my blog to get the latest details. This entry was posted in Uncategorized and tagged #Black Lives Matter, A Black Revolutionary's Life in Labor:, A Black Revolutionary's Life in Labor: Black Workers Power in Detroit, againstthetidebooks, Cinema Detroit, Detroit 67, Family man, Greiving widows, Grief, Grieving, Interracial love, Joann Castle, League of Revolutionary Black Workers, Michigan Coalition for Human Rights, Mike Hamlin, Resistance, Revolutionary, Social Justice, Urban Solace Yoga, Viola Liuzzo on August 19, 2017 by joanncastle. 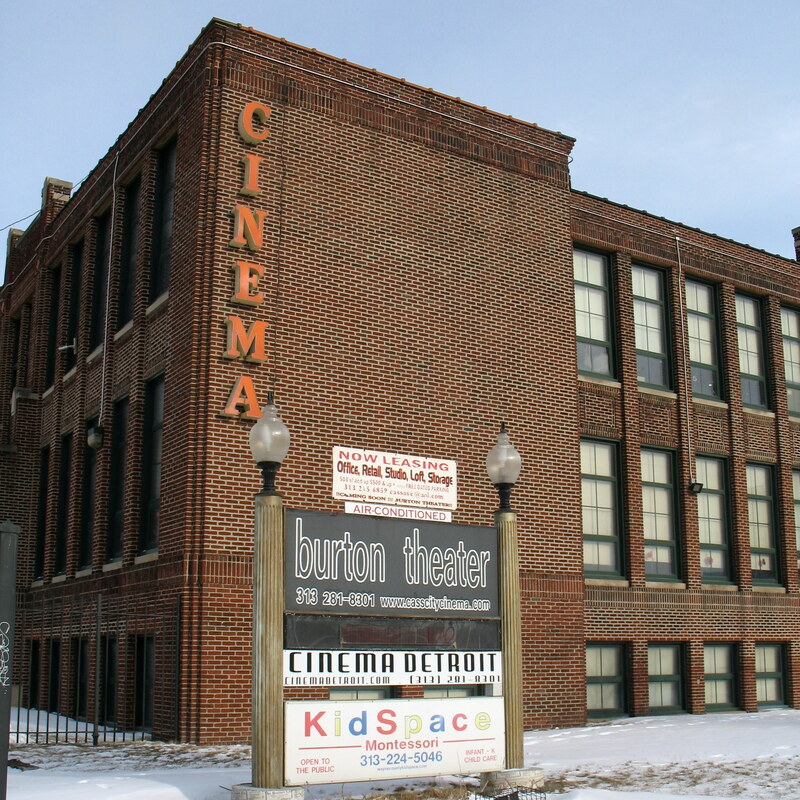 Mike and I recently attended a showing of the movie, “Brothers on the Line” at Cinema Detroit an independent film theatre in Detroit’s midtown district, and the original site of the Burton Theatre whose name still stands at the driveway entrance. Mike was invited to participate in a panel discussion of the film. “Brothers on the Line” is a well-constructed documentary covering the story of the Reuther brothers and the making of the U.A.W. Written and directed by Sasha Reuther, grandson of Walter Reuther, this film stands both as a fitting memorial about the dedication of the Reuther family to a more just society as well as an excellent educational tool for our younger generation. The panel was introduced by Tony Paris, lead lawyer at the Maurice Sugar Law Center, and included Graham Cassano, author, professor, and film critic from Oakland University; Steve Babson, author, labor educator, and union activist who assisted with production of the film; and Mike Hamlin, co-founder of the Inner-City Voice newspaper and one of the leaders of DRUM and the League of Revolutionary Black Workers, who spawned a black workers movement in Detroit in the late 1960s. We should support Detroit’s independent film theatres that offer alternative films and venues for interactive community discussion. Our appreciation goes out to Paula and Tim Gathiet who are keeping the Burton Theatre tradition alive. Check them out at: www.cinemadetroit.com. Mike’s book. A Black Revolutionary’s Life in Labor: Workers Black Power in Detroit is a book for labor activists, students and educators, community organizers and lovers of black history. Order your copy now on this website. Also available on Amazon.com. Won’t you join us on our journey. Click ‘Follow’ on this blog page. This entry was posted in Uncategorized and tagged A Black Revolutionary's Life in Labor: Black Workers Power in Detroit, againstthetidebooks, Brothers on the Line, Cinema Detroit, DRUM, Independent Films, League of Revolutionary Black Workers, Mike Hamlin on February 22, 2015 by joanncastle.